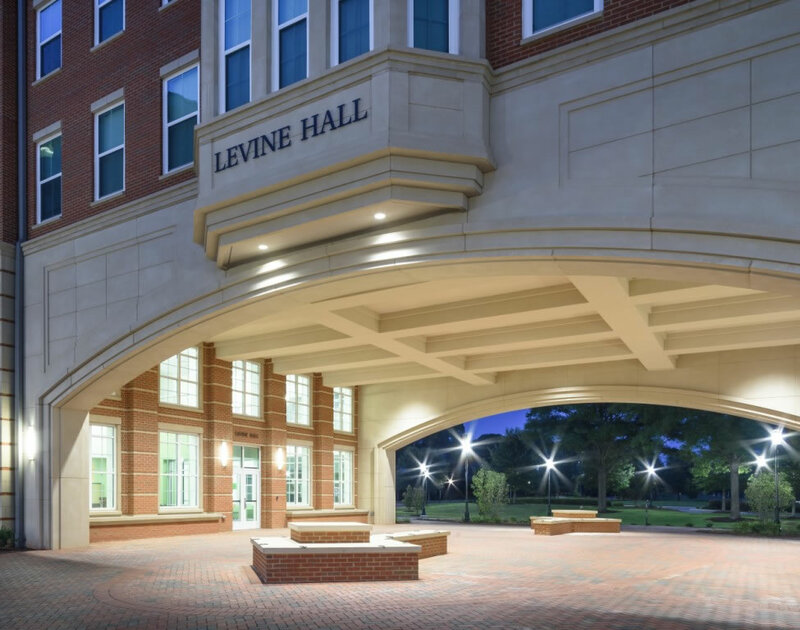 There is no question that universities around the country are designing their residence halls with more contemporary features such as gender-neutral restrooms, cell phone charging docks, LED lighting, recycling stations and even meditation rooms, but when it comes to student housing exteriors, the material of choice is still brick. No other facade material compares to brick in terms of its timelessness, beauty, durability and design flexibility. Universities approach their residence halls as long-term commitments, expecting them to last 50 to 100 years, while conveying a sense of permanence, tradition and institution. Brick achieves all of those expectations and more. Brick can be manipulated into any number of traditional or contemporary patterns using a blend of colors, recessing inward or outward to cast shadows, subtle differences in textures, and twists and turns. And while many universities already have signature brick colors they use, gray and darker-toned brick colors have become the most popular in recent years. While brick may be an attractive facade option, it is often the most expensive. When it comes to reducing overall costs on a project, architects may specify a thin-set brick on pre-cast panel system. A pre-cast panel system can provide all of the durability and color design options of traditional brick, but at a fraction of the cost because it also provides a back-up wall, structural system and insulation. A pre-cast panel system can be erected faster and is ideal for colder climates where the construction season is shorter. Another option for reducing costs associated with brick is using a larger brick size, which requires less labor to install with less square footage and fewer joints. Although this may be a cost-cutting option, it is not always recommended stylistically as it tends to negatively alter the scale of the building. 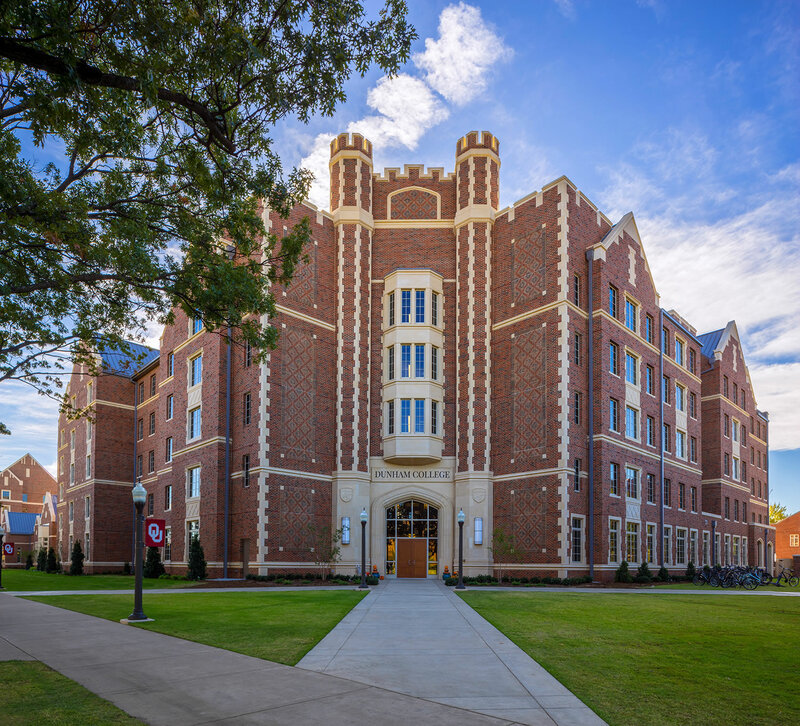 Since residence halls are very modular in nature with a number of ins and outs, standard size bricks tend to work better due to the amount of labor needed to reduce the larger bricks to fit the design specifications. On average, 25% of a brick wall is the mortar. The mortar color selected can affect the overall visual appearance of that wall. Selecting a mortar color that closely matches the brick will create a monolithic look, while use of a lighter color will create more of a tapestry effect. Mortar and brick color can change over time to create an aged and timeless quality. Historically, stone was used on university buildings as accents above and below windows, around doorways and entrances, at the corners, spanning openings and for pillars. 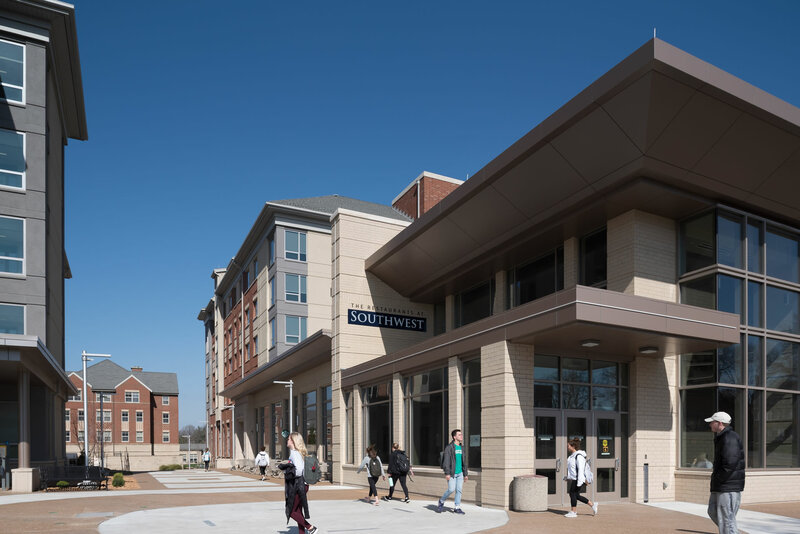 Today, stone accents are still a major part of residence hall design, but the material has changed from real stone, which can be expensive and difficult to maintain, to the more contemporary cast stone, which is made of concrete and weathered to resemble real stone. Cast stone is more structurally predictable than actual stone and can withstand freeze and thaw cycles better than stone, which tends to be porous. 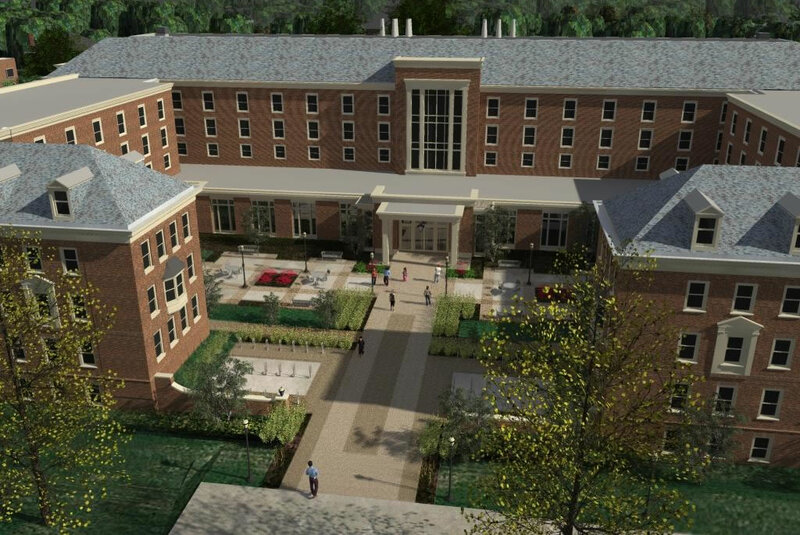 In addition to a residence hall’s facade, architects are also specifying brick for sidewalks, terraces and walls around seating areas. The choice to use brick in these additional areas often depends on the university’s budget, as well as the climate. Campuses subject to frequent freeze and thaw cycles are often not conducive to using brick for these outside areas. Salvaged brick has become trendy in recent years for accent walls and other structures, but is not recommended for university facilities. On older masonry buildings, bricks of different hardnesses were often used. The exterior brick was often harder than the brick used to build up the thickness of a wall and for the interior. When brick from these historic buildings is salvaged, it is often not divided between exterior and interior use. Using a softer brick on an exterior would be structurally devastating as it would not be able to provide support or withstand a harsh environment. Salvage brick tends to be more expensive than new brick as additional labor is often needed to prepare the brick for re-use. Nothing is more comforting or beautiful than a brick residence hall to remind students of their childhood apartment or home. With its wide range of colors and textures, durability and pattern options, brick has all of the qualities of an institutional material, but without the institutional feel.